These are the projects we did at the December Big Shot Class. In past Big Shot classes our projects have included both cards and 3D projects. This month all 5 of the projects were 3D projects. What is the Big Shot? The Big Shot is a die cut tool used by paper crafters. This machine is more than a die cut machine, it also embosses designs into your paper. What kind of projects can you make with this tool? The embossed paper and die cut shapes can be used to decorate 3D projects as well as to decorate cards and scrapbook pages. And many of the dies are actually templates that you fold into 3D projects.This machine has quickly become an essential addition to my work room. I use it all the time! We used 6 different dies this month. Three of them are NEW dies which you'll find them in the Holiday Mini Catalog. 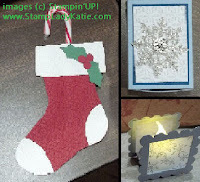 The Stocking Bigz L Die, the Stocking Accents Originals Die and the Peek-a-Boo Frames Bigz L Die. 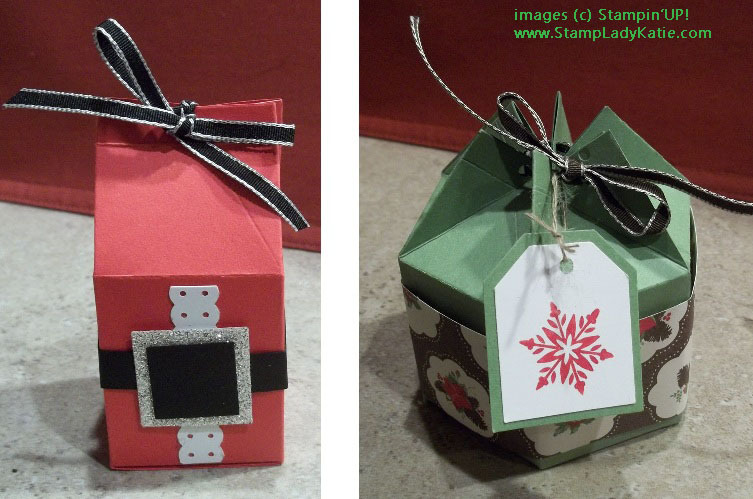 We also used the Matchbox Bigz XL Die, the Northern Frost Die and the Mini Milk Carton Bigz L Die . Can I use these Dies with other Die Cut Machines? You mean like the Cuttle Bug? Any die will work in any machine it can fit into. The trick is to get the right thickness, the right amount of pressure from the roller onto the paper and cutting edge. As long as the die fits into the "bed" of the machine then you can use it. You may have to play with the layers to get the "sandwich" to an effective thickness. The thickness can be adjusted but the width of the die can not. *The Sizzlets and Originals dies will work in the Cuttlebug. *The Bigz L and Bigz XL dies are too wide to fit through the Cuttle bug. Thats why the serious stamper needs a Big Shot. 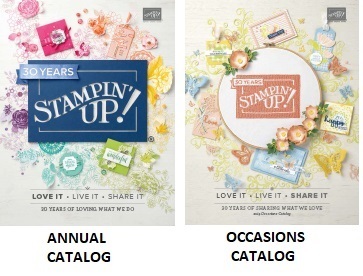 Get your Big Shot, dies and embossing folders HERE. Shop 24/7 for all your stamping and scrapping needs at my Stampin'UP! store. Whether you are local or long distance you can be confident that I'll be here to answer all your questions. Was this useful information? 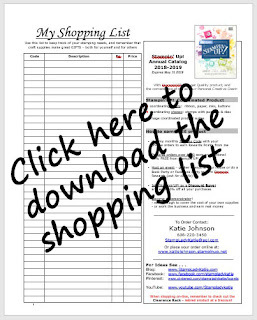 Send your Friend an email link to this article. Do you still have questions about die cut machines. Email me. I answer all questions, I'm here to help you. Here to help you will all your paper crafting!